Typically, engagement rings come with platinum, gold or sometimes palladium bands. Although platinum is the most expensive, to the naked eye it looks identical to white gold. However, there are big differences between platinum and white gold. Platinum tends to be more durable, while white gold shines brighter. If you need to consider your budget, choose a white gold band without sacrificing the look of the ring. Online retailers don’t have the same overhead costs as brick and mortar stores, so they are able to have a wider selection of engagement rings at a lower cost. You can also buy wholesale diamonds if you want to purchase the ring and setting separate for even bigger discounts (but more on that later). Shopping online for such a sentimental item can be nerve-wracking, so choose a retailer that offers a lifetime warranty and has a flexible return policy to ease your mind. And be sure to read reviews on any store you consider, online or otherwise, when planning such an important purchase. When shopping on a budget, you have to think about which of the 4C’s (carat, cut, color and clarity) is most important to you. These four C’s determine how a diamond will be priced. Many diamond experts suggest that cut should be a priority because it affects the sparkle and shine of the diamond, which is viewed as what makes diamonds unique over other gemstones. A dull diamond is fairly noticeable to others, whereas a diamond with lower clarity, for example, may not be recognizable to anyone without a magnifying glass. Some shoppers will never buy a diamond that has an even carat weight, for example a 1 or 2-carat diamond. Instead, find a diamond that is just a hair below these weights, such as 0.95 or 1.95. Although they will look practically identical in size, the odd carat measurement actually makes the ring much more affordable. This may be difficult to find in a preset engagement ring, but should be fairly easy to locate as a loose diamond. There are two options for purchasing an engagement ring: buy a loose diamond and have it custom set, or buy a preset ring. Many people rule out buying a loose diamond because they believe that having it custom set will be more expensive than purchasing a preset ring. However, many jewelers estimate that purchasing a loose diamond with a separate setting will save you between 5-15% on the cost of your ring. Loose diamonds are also a great idea when you’re unsure of what setting your future spouse would like. In this case, you could purchase a loose diamond and then have her pick a setting with you after you propose. If you aren’t sure about purchasing a loose diamond, many jewelers will offer discounts or deals on preset engagement rings that will significantly lower the expense. Brilliance has endless options when it comes to preset engagement rings and loose diamonds. Diamond and jewelry experts are on hand to help you get the most for your money without overspending. The best part? Brilliance guarantees low prices for shoppers on a budget! If you find an identical item at a lower price, Brilliance will beat it, guaranteed. 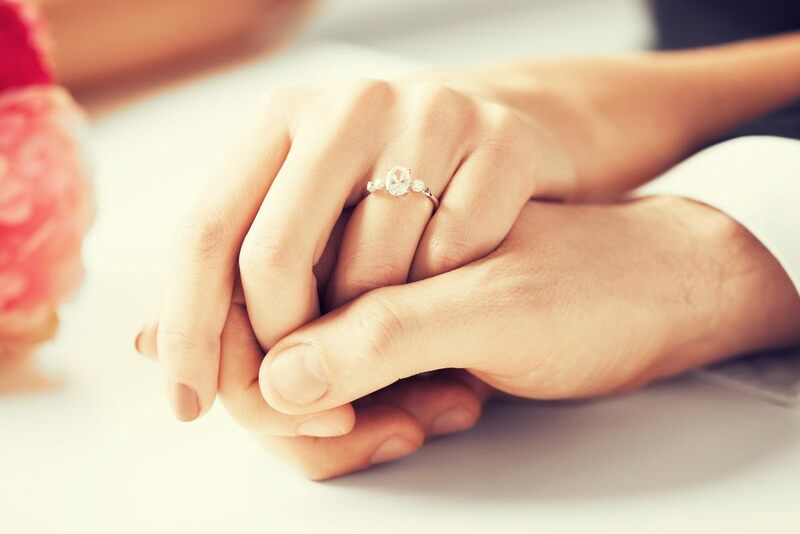 No matter your budget, you can find the perfect engagement ring for her.